Today, October 21, 2015, is Back to the Future Day. It’s the day when Marty McFly, America’s favorite sunglass-lifting hero, arrives to save his kids in "Back to the Future Part II." His tour of 1989's vision of the year 2015 shows off a pretty wide array of predictions as to what today would be like. However, one particular prediction lit up the imaginations of kids everywhere, and had them making future Christmas wishes for when the day finally arrived. I’m talking, of course, about the hoverboard. It's the perfect toy for any kid who thinks a regular skateboard simply doesn’t provide enough opportunity for serious injury. The hoverboard, in all it’s pink 80s glory, was a beacon calling us all to move forward. So where is it?! As you’ve undoubtedly realized, the hoverboard is probably not going to show up under your Christmas tree this year. However, that doesn’t mean that all hope is lost. You may very well ride a hoverboard in your lifetime if you still want to. There are a few people and companies who are actually, truly working on it, and the promise that Marty made to all of us when he stepped aboard that piece of pink plastic may yet be fulfilled. First, there’s a company called Hendo. These guys are possibly the closest to nailing the futuristic hoverboard. What they’ve built (via $500,000 in Kickstarter donations) is an electromagnetic board that floats above a conductive surface. 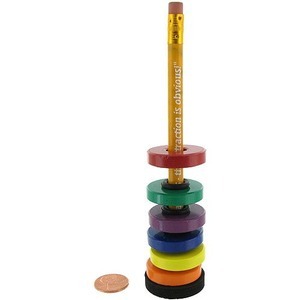 Did you ever put two ring magnets on a pencil and watch one float above the other? It’s the same principle, but super-powered with electricity. All the footage of this thing working is pretty awesome, particularly the video of Tony Hawk trying it out. Its only shortfall, is that it works exclusively on a specific conducting surface. So don’t expect to be able to take this thing for a spin around your neighborhood or to your local skatepark. Still though, as a proof of concept, this thing hits all the right marks. Next, is Lexus. That’s right, the car company. Lexus released a promotional video wherein they seemingly have built a stylish bamboo hoverboard complete with futuristic wisps of smoke. The footage is sparing, and that’s for a good reason. The Lexus board uses the same electromagnetic concept as Hendo, and uses superconducters. Superconducters need to be kept cold in order to work. How cold? -320°F. That’s pretty cold, and well beyond light jacket weather. It’s so cold, in fact that you have to add liquid nitrogen to the conducting magnets constantly to keep them at operating temperature. So basically you can’t just leave your giant tank of liquid nitrogen at home like you usually do when you go skating. You have to take it with you wherever you take the board. On the plus side, the evaporating liquid nitrogen is what makes that cool wispy vapor effect. So, you know, it’s a trade off. Declared “Officially Amazing” by the Guinness Book of World Records, this is probably the most practical and effective design for a hoverboard to date. It’s essentially a Green Goblin-esque skeleton design with several powerful propellors pushing air down to create lift. Basically it’s a drone you stand on. The problems? Well for one, it’s battery powered. Batteries are heavy, so having one on board at all times creates drag, which reduces charge time, which reduces overall flight time. Still, this thing is probably the closest yet in terms of actual function. It can fly over any surface (water or land), and can actually be controlled a little better than the other examples. It uses basic laws of physics and is probably relatively cheap to make. Odds are, if we were to see a mass-produced hoverboard in the next couple years, it would look like this one. While the hoverboard of "Back to the Future" remains a fantasy, it isn’t so out of reach. Experiments and prototypes are the only way anything is invented. These early hoverboards may not be the most practical or readily available, but they work. That’s what you might call a giant leap for mankind. Sci Fi has often pushed the boundaries of reality by envisioning a future filled with better and cooler things. The hoverboard is probably the second coolest of those things, and thanks to these three companies, it may be on it’s way. What's first coolest thing? Lightsabers.Obviously.